If you have not done so, please visit Patter's blog HERE and read what she has shared for this challenge. When I found the scripture I wanted to use on my digital page I wanted to make it personal. 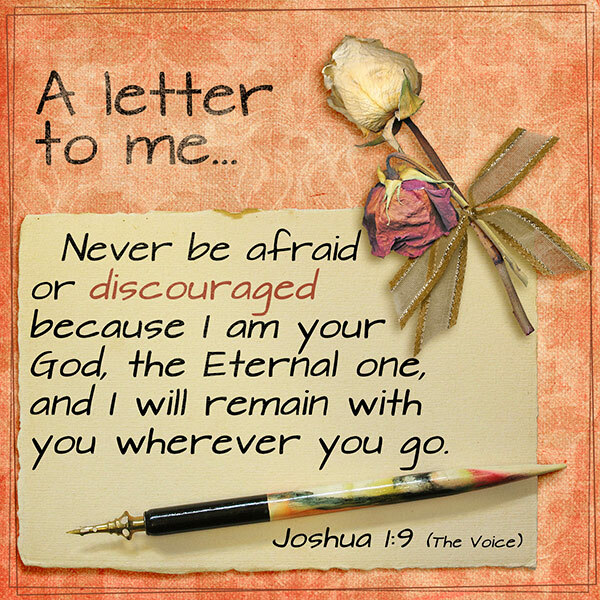 It is a promise to me and to anyone else who truly believes in the Eternal One - our God and Father. 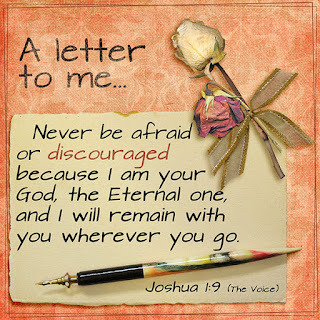 We have not need to be afraid or discouraged because He is with us always - He will never leave us. Lovely page and wonderful scripture.